Using a Colorado Springs water dispenser for home will result in a much better and "cleaner" taste of your H2O. The filters used in these systems clean the water of chlorine and other additives that could be interfering with its taste. A number of contaminants could potentially be found in your drinking water, giving it an off taste. A filter, however, will not interfere with the concentration of minerals naturally found in your water. As a result, you will be enjoying a cleaner taste and health benefits at the same time. A Denver office coffee delivery service will be the perfect opportunity if you are a connoisseur and you'd like to enjoy even more aromatic espresso in the morning. The use of filtered water to make coffee, tea and other hot beverages results in a much more aromatic beverage and a cleaner taste. As already mentioned, filtering removes chlorine, limescale, some parasites and even bacteria that are normally found in the water. Any coffee lover will sense the difference immediately. Just take a look at the cup. If you use unfiltered water, there will be a thin "film" floating on top. Limescale and other substances found in the water will be responsible for it. Using filtered water will make the color of your brew richer, and there will be no film or residue. The alkaline aftertaste will also disappear if you use filtered water. To test for yourself, brew two cups of coffee – one featuring regular tap water and one using filtered water. Telling one cup from the other will be a really simple task. The use of filtered water will decrease the limescale buildup and increase the longevity of your coffee machine. If you are concerned about keeping your kitchen equipment in top condition, water filtration will be the best possibility for you. Getting hardness test strips will reveal just how much limescale your tap water contains. Chances are that the quantity will be sufficient to leave residue on your coffee machine. If you have invested in an expensive espresso maker, you will certainly want to use the best water with it. The fact that the taste of your coffee will also improve is an added bonus. The exposure to chemicals in the drinking water could potentially increase the risk of cancer development. Researchers have found out that simple water filtration can decrease the risk of suffering from colon, bladder and rectal cancer. The chlorination of drinking water is one of the contributing factors to this higher risk. According to the International Agency for Research of Cancer (IARC), the chlorination byproducts are the ones to blame. These byproducts include trihalomethanes and haloacetic acid. These two chemicals caused cancer in experiments involving lab animals. 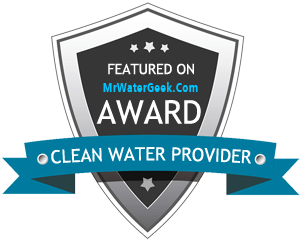 Researchers have also figured out that individuals consuming chlorinated water over the long run have a slightly higher risk of developing bladder cancer than the people that drink filtered water. There is some research suggesting a link between water chlorination and higher risk of colorectal cancer, but more studies will need to be performed. Filtered water supplied by a Denver water delivery service is going to be much less expensive than purchasing bottled water. If you have a large office and many employees, this opportunity is going to save you a lot of money, and it will also be giving workers non-stop access to clean and delicious water. Buying bottles of water for your home or your office will inevitably result in discarding large amounts of plastic. The plastic bottles can be recycled, but this process is still going to generate some waste and energy losses. Using filtered water will result in less waste. If you are trying to create a green image for your business, you will benefit from this possibility. The water dispensers that are mains-fed generate no waste. If you opt for a bottle-fed variety, you will be supplied with large bottles that are collected upon being emptied. These bottles are refilled, so the environmental impact of the process is minimal. Whether you like perfect coffee or you are concerned about the health of your family, filtration will help you achieve your goals. Filtered water tastes better, and it also happens to be cheaper than other popular hydration options. Once you switch to filtered water, you will find yourself incapable of going back.